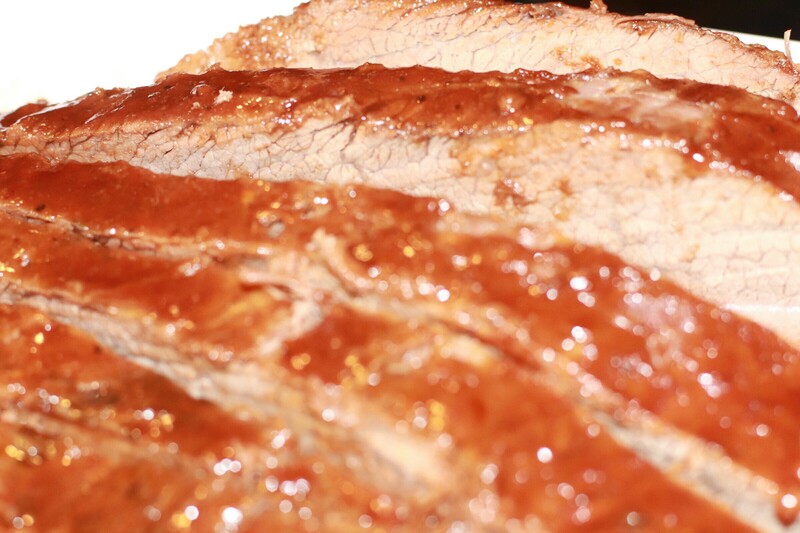 While you’re at the store selecting your brisket, you’ll have two cuts to choose from. You can go with a flat cut or a point cut. I’ve heard the point cut is ideal. Depending on where you live though you may find it impossible to find a point cut. That’s ok! It actually took me 4 supermarkets later, just to find the flat cut, so I was out of luck in point. The point cut literally is pointed to a degree and The flat cut flatter, you’ll also notice The point cut has a lot more fat on it, which would make it more tender and juicy! However, the flat cut also has a layer of fat which encompasses it. And make sure you resist the urge to cut it off until after it has cooked! That layer is pivotal because it will ensure it stays moist and full of flavor. There are two important keys here: marinade this baby for long enough and cook it slow enough! 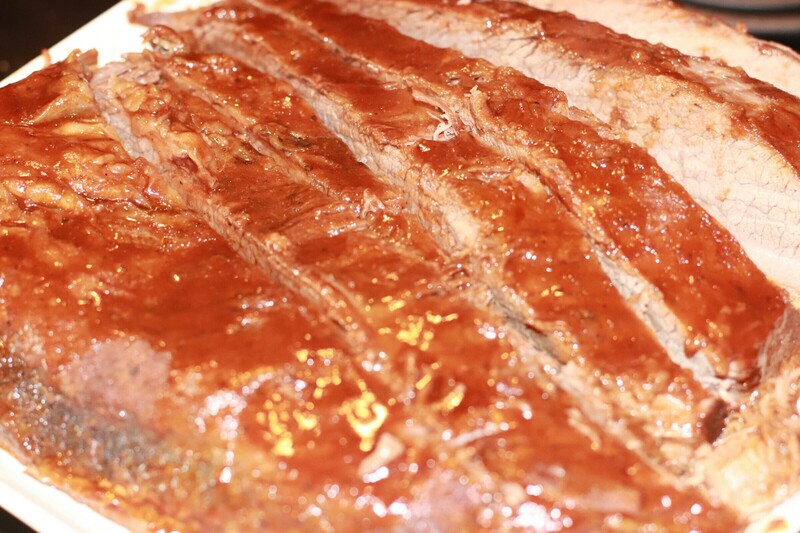 Once you have your brisket you need to get it ready to marinate as soon as possible. I recommend marinating it over night. In the past though when I haven’t had time I’ve also started marinating it morning of, and its still delicious!! I served mine with my Healthier Memphis Style Slaw, Homemade Cinnamon Honey Cornbread, & Hashbrown Casserole. This is one of those dishes though that taste good with everything… Especially the next day in a sandwich! First, line a deep baking pan with foil. Next, rub your seasoning blend on both sides of the brisket. Place it in the foil lined pan. Fat side up. Pour half of your sauce over it. Than flip the brisket so it is fat side down (the fat layer is directly on the foil). Pour the rest of your sauce mixture over top of this side as well. Close the foil completely so it encompasses the meat. Place it in the fridge to marinate overnight (or if you're in a hurry I would say for at least 3 hours). When you are ready to cook make sure you've pre heated the oven to 275 degrees. Cook the brisket for a total of 6 hours. I took it out about half way through moved it around and used a spoon to rebaste it with its own juices and sauce from the pan.